The Anxiety Disorders/OCD Intensive Outpatient Program is held three days per week. 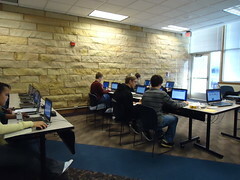 Our IOP groups are contracted with Aetna, Blue Cross Blue Shield, Cigna, and United Behavioral Healthcare. For more information about IOP, contact our IOP coordinator at 602-997-2880 or IOP@doorwaysarizona.com. Click here to read more information about OCD. 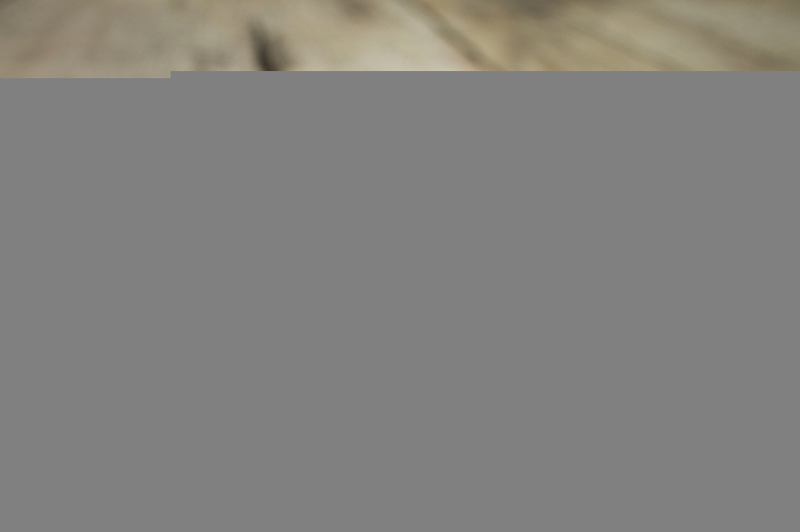 Click here to read more information about social anxiety disorders. Here’s a typical session at our Anxiety Disorders/OCD IOP. The first hour of our IOP is group sharing time. Members share and celebrate their successes and challenges with anxiety since the last group and offer each other feedback. Then the remainder of the group we engage in fun and creative tasks to help adolescents face their fears. These serve a purpose in challenging the social anxiety and OCD symptoms that keep adolescents from functioning in their world.We might play a game of charades, lip-syncing contests or practice doing every day activities that they might avoid. We also go offsite and participate in activities that normally would cause us to feel extreme anxiety, but by doing it as a group in a safe setting, we learn how to overcome those feelings. For example, we recently went to a pumpkin patch and participated in a maze to challenge particular fears. We also go to malls or restaurants and plan social activities. The adolescent years can be difficult, but if you have a teen with obsessive-compulsive disorder (OCD) you are faced with additional obstacles as a parent. Know that you are not alone on this journey. According to the Anxiety and Depression Association of America (ADAA), OCD affects about one in one-hundred school-age children. Once you gain an understanding of OCD, know that there are treatment options available for your adolescent. According to Kids Health, the exact cause of OCD is not yet known by scientists and doctors. What is believed is that there is a relationship between the levels of serotonin in the brain and that if serotonin levels are blocked the brain creates these “false alarms” or danger messages and instead of the brain getting rid of these messages it obsesses about them which causes unnecessary fears. There is strong evidence that OCD can be hereditary. Many find if they have it so do at least one of more members of their family. However, just because this gene may exist does not mean that a person will develop OCD. There is just a stronger chance for it to develop. Keep in mind, that if OCD is genetic, then it is not caused by the family of the adolescent with OCD. Your teen might be relieved that you want to talk about their OCD or they might be reluctant. According the International OCD Foundation, parents should first do research to learn more about OCD, as well as therapists and also medications to treat OCD. Then approach your adolescent in a non-judgmental way to talk about their OCD and seeking professional help. Do you have thoughts, images, worries, ideas or feeling that either scare or upset you? Do you feel it necessary to organize things in a certain way? Do you repetitively go over things? Upon being diagnosed, treatment can begin for your adolescent. What does treatment for OCD look like? Initially your adolescent will begin working with the therapist to learn about OCD and what to expect from treatment. The types of therapy they will then begin are cognitive-behavioral therapy (CBT) and Exposure and Response Prevention (ERP) coupled with cognitive therapy. These are the most effective treatments for OCD. What this means is that the therapist will give your adolescent tools to outsmart the OCD and help manage the OCD with proven tactics. In most cases, you can expect the treatment to take weeks or months. Gradually your adolescent can expect to be exposed to their fears and asked to stop doing the compulsion. An example would be for a person afraid of germs being asked to touch an item in public like a door knob and then wait an extended period of time to wash their hands. Then gradually increase the time between touching the object and then washing their hands. Over time your body will be trained to act differently to the fear. If your adolescent seems to exhibit symptoms of OCD contact the team at Doorways for an evaluation and if we find that they do have OCD, then we can recommend the best course of treatment for your adolescent. 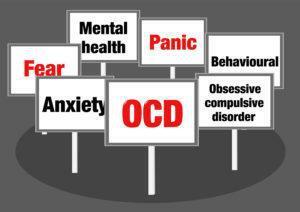 Obsessive Compulsive Disorder, OCD, is an anxiety disorder that affects people of all ages. A person with OCD experiences severe anxiety related to specific things where the level of anxiety or worry doesn’t match what is happening. The specific things that they have this reaction to are called obsessions. Teenagers can develop obsessions related to normal teenage problems like making friends, doing well in school, or fitting in with peers. But someone with OCD can develop an obsession about almost anything. In order to deal with these obsessions, those with the condition will participate in ritualistic behaviors related to their obsession that help to ease the level of anxiety they are feeling. These behaviors are called compulsions. The need to perform this ritualized action can be so strong that it may feel impossible not to do it. The following resources provide more information about OCD, how it is diagnosed, how it is treated, and what parents can do to support their teens. OCD in Children and Teens from the International OCD Foundation – Offers parents insight in what it is like to live with OCD, an overview of treatment options, and a resource for finding help locally. OCD in Children and Teens from the International OCD Foundation – Provides an explanation of what it can feel like to have OCD, a downloadable brochure about OCD, and links to information on treatment and other resources. 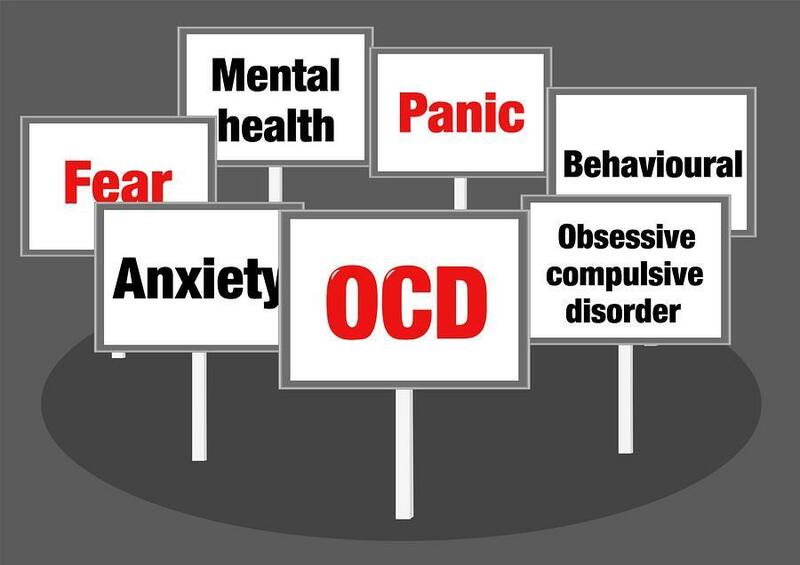 Obsessive Compulsive Disorder Overview from the Anxiety and Depression Association of America – Provides parents with basic information on symptoms, treatment options, and offers additional information on hoarding, which can sometimes accompany OCD, even in teens. Obsessive Compulsive Disorder, OCD from the National Institutes of Mental Health – Provides a basic overview, information on symptoms and treatments, a description of common risk factors, and information on how to live with this disorder. The Role of Personnel in School from OCD Education Station, Beyond OCD – Although this resource is targeted at those who work in the school, it can provide valuable information for parents about what kinds of resources, assistance, and accommodations may be available to support their teen’s OCD during the school day. Each year, more than 60 million Americans suffer from anxiety and depressive disorders including our teens and children. These devastating mental health conditions affect every area of a person’s life and when the person struggling with the condition is a teenager, it can affect everything from their social development to their prospects for the future. The goal of National Anxiety and Depression Awareness Week, which runs from May 4-10, is to help those with the conditions and their family members to get the help and support they need to treat the conditions and mitigate the impact. Unfortunately, our adolescents are not immune from these pervasive mental health disorders. The National Institute of Mental Health estimates that about 8% of teenagers suffer from an anxiety disorder and about 11% suffer from a depressive disorder but the majority of teens in both groups never receive treatment. With such devastating, potentially long term impacts, we need to work harder to ensure that our teens are getting the help and support they need to learn to manage these disorders. Fear and sadness are normal human responses that have helped us throughout human history to avoid danger and deal with loss. But when these normal responses go awry, our ability to use the emotional energy created is compromised. Those emotions can become overwhelming and overpowering and may feel as though they are taking over our lives. Without treatment or tools to effectively manage that experience, many of those dealing with anxiety and depression embrace unhealthy coping mechanisms in order to deal with their day to day lives. When this happens, it only complicates the problem because now multiple disorders must be treated in order for the person to get back to a place of manageable mental health. The complications caused by co-existing conditions only underline the importance of treating anxiety and depression as early as possible. Anxiety is normal in all of us, even our teenagers. However, for some people, anxiety can become overwhelming, all-encompassing, and debilitating. When anxiety shifts from normal day to day worries to something more, an anxiety disorder may be to blame. For parents of teenagers with anxiety disorders, it can be as important to understand what makes things worse as it is to understand what makes it better. While fear and anxiety can be healthy responses, they can also expand beyond healthy to become unhealthy, hindering, and even harmful. When fear takes on a life of its own and expands to encompass things that are not actually a direct and immediate threat, that fear becomes a phobia. Phobias are fueled by fearful emotions that are severe, extreme, and persistent and can trip the fight or flight response even when there is no direct and immediate threat of harm. Anxiety can also expand beyond what is normal and helpful to become a phobia, an anxiety disorder, or and anxiety disorder tied to a phobia. OCD, Obsessive Compulsive Disorder, is an anxiety disorder that can affect people of all ages, even teenagers. People with OCD experience excessive worry about specific things, called obsessions, which they cannot control and in an effort to manage their anxiety, they feel compelled to perform certain ritualistic behaviors. Teenagers with OCD may develop obsessions related to normal teenage worries like school or friends but their obsessions can be related to almost anything. Since it is normal for teenagers to experience anxiety, parents often wonder how to differentiate between normal anxiety and worry and OCD. Post Traumatic Stress Disorder, which can affect anyone at any age, can be difficult to diagnose because there may be a lag between the start of symptoms and the triggering traumatic event. In fact, it is not uncommon for symptoms to start slowly and increase in frequency and/or severity over time. This is one reason that understanding the signs and symptoms of PTSD is crucial for anyone who has experienced trauma or who has a loved one that has been through a traumatic event. The key to managing and overcoming the disorder is timely diagnosis and treatment which underlines the importance of knowing what to look for and knowing when it is time to seek help. Everyone worries about things, even children and teenagers. Whether the worry is over the upcoming history test, getting a date to the prom, or making the soccer team, anxiety is a normal part of everyday life. However, in some people, normal everyday worries can become excessive and everyday things can cause severe anxiety. This type of anxiety is called Generalized Anxiety Disorder (GAD) and it affects about 3% of the U.S. population each year, including one in eight children. Depression in teenagers doesn’t always look the way we, as parents, expect it to. Sometimes the symptoms of depression can look a lot like normal teenage angst which means it goes undiagnosed. 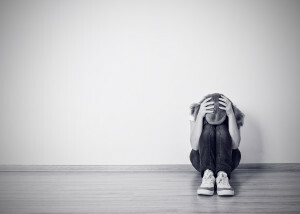 But getting teens who are dealing with depression the help they need is critical because depression impacts all areas of their life and if left untreated it can result in serious long-term problems. Here are some of the important facts about teenage depression that parents need to know in order to recognize the signs in their own child and to know what steps to take to get them the help they need. All of these disorders can be treated by qualified mental health providers and teenagers with these conditions can go on to live happy, healthy lives. Before a mental health disorder is diagnosed, everyone in the family can feel helpless and out of control to the point that finding a name for what is happening can start to feel like the answer. Unfortunately, knowing what is causing the problem isn’t enough to solve it. The real work of dealing with many disorders, including Obsessive Compulsive Disorder (OCD) comes after the diagnosis. When your initial relief at knowing what is causing the problem begins to fade you will need to start the real work of helping your teenager learn to manage this condition and of changing your own behavior to best support them. Here are some of the things you can do, now that you have the “what” to help define how to move forward. The most supportive thing you can do for your teen is to learn everything you can about their disorder. This helps you better understand the struggles they are facing while also helping you understand what is the disorder and what is not. It can be easy in the time period directly following diagnosis to blame the disorder for everything that isn’t “right” but in so doing you may miss other problems that need treatment or become frustrated when management strategies don’t “fix” everything. More so than many other mental health disorders, OCD can become a family problem because other family members often do things to accommodate the person with the condition. In the moment, these things can seem to be the best thing because they are helpful, supportive, and even participative. Accommodating behaviors can include washing your hands whenever the person requests it, helping them to avoid uncomfortable tasks like cleaning the bathroom by doing it for them, providing unlimited access to cleaning supplies, or performing rituals to ease their anxiety and feed their compulsions. For parents, identifying how they are enabling their teens OCD in these ways can be challenging. Most parents only want the best for their child. This generally means providing an environment that promotes happiness, comfort, and safety. 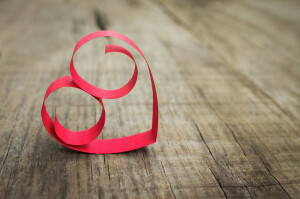 It can be difficult to follow-thru on what is “best” for them when it feels like that action is making them feel unhappy, uncomfortable, or insecure. Once you have identified what you and other members of the family are doing that is enabling the OCD the next step is to try and reduce or minimize those actions as your teen learns new ways to manage their condition. This will take time and will be unpleasant for everyone at different times. Remind yourself that all you are seeking to do is to treat this member of your family the same way you treat everyone else while supporting their recovery. It can be very beneficial to seek the advice of a mental health provider as part of this process. Learning to manage OCD and how to provide a healthy, supportive environment for that person is difficult to do without assistance. Finding a provider that can work with your teen individually and with your family as a whole should be at the top of your list. Building this kind of relationship is one of the most important things you can do to support your child. This provider can help your teen learn new strategies for managing their thoughts and behaviors while also guiding your family unit through the first part of your journey to wellness. 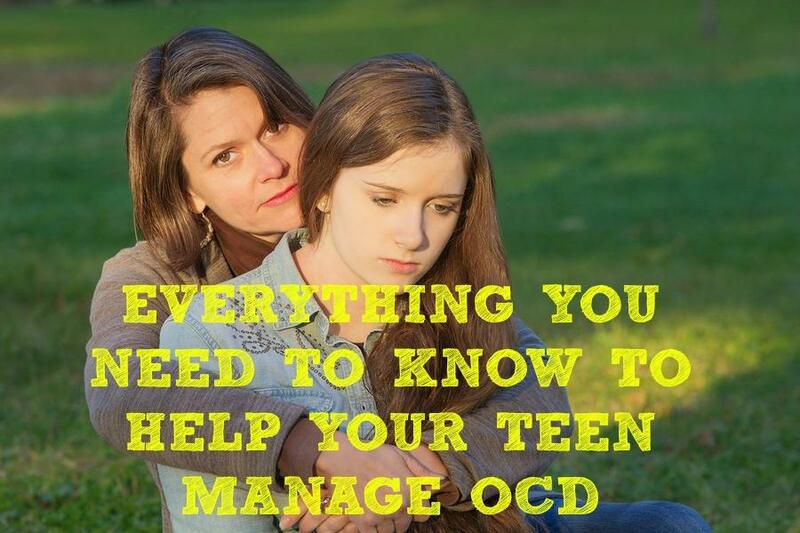 How Do I Know if My Teen has OCD? OCD, Obsessive Compulsive Disorder, is an anxiety disorder that can affect people of all ages, even teenagers. People with OCD experience excessive worry about specific things, called obsessions, which they cannot control and in an effort to manage their anxiety, they feel compelled to perform certain ritualistic behaviors. Teenagers with OCD may develop obsessions related to normal teenage worries like school or friends but their obsessions can be related to almost anything. Since it is normal for teenagers to experience anxiety, parents often wonder how to differentiate between normal anxiety and worry and OCD. The following information can help parents determine if their teen’s behavior is indicative of OCD so that they can seek diagnosis and treatment from a provider. 1. OCD takes up time and energy. Normal anxiety may seem to occupy much of your teenagers time but when this anxiety is caused by OCD it takes up a significant amount of time and energy. Teenagers with OCD may struggle to accomplish normal activities like chores and homework because of the time spent on OCD behaviors. 2. OCD can leave teens feeling frustrated and embarrassed. Because teenagers with OCD cannot control the compulsions, these behaviors can cause significant frustration and even embarrassment. Teens may not want to participate in normal activities because they don’t want others to witness these behaviors. 3. OCD causes irrational fears. One of the most important things for parents to understand is that normal teen anxiety is generally related to realistic situations and challenges like doing poorly on a test or not having a date for the prom. OCD teens often experience obsessions that are not realistic like extreme fear of dirt, germs, contamination, or illness. Obsessions can center on preoccupations with symmetry, order, numbers, sexual thoughts, household items, and specific words or sounds. 4. OCD compulsions take many forms. While the compulsions that accompany OCD develop as a way to ease the anxiety caused by the obsession, the actual behavior may or may not relate to the obsession. Common compulsions experienced by OCD teens are excessive hand washing, repetitive actions like locking and unlocking doors, counting, and checking rituals like checking homework assignments again and again. 5. Teens often hide OCD behaviors. Because of the shame and embarrassment often experienced by OCD teens, they can become very good at hiding these behaviors, even from those closest to them. This can make it difficult for parents to recognize OCD in their own teens. 6. Teens may incorporate others into their compulsive behaviors. Teens may draw parents, friends, or other family members into their OCD behaviors. This can take the form of a question/answer that is repeated again and again. For example, a teen with OCD who is struggling with an obsession about being late may ask their parent for reassurance relating to being on time again and again. If you suspect your teenager is struggling with OCD, seek professional help from a mental health provider. For many people with eating disorders, the challenge of overcoming their disorder is complicated because of other coexisting mental health conditions like depression and anxiety. In fact, a University of Pittsburg Medical Center study conducted in 2004 found that two-thirds of those diagnosed with eating disorders also suffered from some form of anxiety disorder over the course of their lives. In many cases, the anxiety disorder started in childhood, predating the eating disorder. This underlines how important it is for parents to understand the warning signs of both anxiety disorders and eating disorders and to seek treatment for either condition or both conditions as soon as they see the signs. Obsessive-compulsive disorder (OCD) is the anxiety disorder that is most frequently seen with eating disorders. When OCD and an eating disorder co-exist, the two disorders can intertwine causing the person to develop ritualistic behaviors associated with food. An example of how this would look to parents would be a teenager that obsessively counts calories, weighs their food, or will only eat at specific times of day. Other anxiety disorders that commonly co-exist with eating disorders are post-traumatic stress disorder (PTSD) and social anxiety disorder. Post-traumatic stress disorder (PTSD) symptoms come in three different categories. The first, intrusive memories include things that are commonly associated with PTSD like flashbacks and nightmares. The second, avoidance and numbing, includes avoiding thinking about, talking about, or doing anything related to the traumatic event. It can also include avoiding previously enjoyable activities, difficulties with memory and concentration, and “checking out” by retreating to a numb state. The third, hyper-arousal, includes uncharacteristic irritability and anger, self-destructive behavior, problems sleeping, and being easily startled. In part 2 of this series, information on additional mental health conditions is covered. Read Part 1 of the series here. Understanding Teen Cutting and Self Injury from Parenting.org – General information about self injury including signs, risk factors, and how to get help. A Silent Cry for Help: Understanding Self Harm from Psychology Today – A look at self harm including symptoms, causes, and what parents can do to help if they suspect their child is cutting. 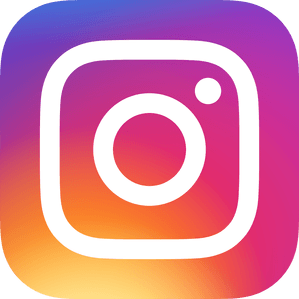 StopBullying.gov from the U.S. Department of Health and Human Services – Great resource for parents that provides information on how to combat the negative effects of bullying. Is Obsessive Compulsive Disorder Affecting My Teenager? It can be difficult in this age of acronyms to know when your teenager’s behavior is appropriate for their developmental stage of life of when it’s something that a parent should be concerned about. With anxiety disorders like Obsessive Compulsive Disorder (OCD), it is even harder to find. The difference between the two is the impact it has on the child’s daily life. Obsessive Compulsive Disorder (OCD) is an anxiety disorder that causes those who suffer from it to experience persistent anxiety, fear, or distressing thoughts and/or exhibit a ritualized behavior as a method to control their anxiety. For example, a child might be so afraid of germs, they wash their hands every 15 minutes. The obsessive nature of these thoughts and their compulsion to perform the ritual interfere with the teenager’s daily life. Someone who is afraid of germs may develop a ritual that involves washing their hands a certain number of times at certain points over the course of the day. A child who is worried about their house burning down may develop a ritual involving checking their smoke alarms and fire extinguishers to ensure they are operating. It is important to remember that someone with Obsessive Compulsive Disorder does not believe they can control their compulsions and that these rituals offer only a temporary respite from their anxiety. People with Obsessive Compulsive Disorder, both children and adults, may realize that their behavior is out of the ordinary but this is not always the case in children. OCD may be accompanied by other conditions including depression and eating disorders and affects the same number of males and females. In many cases, Obsessive Compulsive Disorder first presents during adolescence or the teen years. Obsessive Compulsive Disorder is a brain disorder. Research has shown that it does tend to run in families but there is no clear indication of why one person develops the condition and another doesn’t. But the truth is clear, that OCD is no one’s fault, and especially does not occur because of something a parent did, or did not do. Repetitive thoughts that are distressing or cause anxiety about several different things. Common obsessive topics include germs, dirt, crime, sexual acts, cleanliness, violence, or hurting others. Ritual behavior patterns associated with their obsessions that they complete over and over to alleviate the anxiety. Rituals can involve actions like repetitive hand washing, locking and unlocking doors or windows, counting, and performing things in a specific way again and again. Performing rituals can be distressing and are not a source of comfort or pleasure although they do alleviate feelings of anxiety temporarily. Obsessive thoughts and rituals occupy at least one hour a day and impact the person’s daily life. Symptoms may come and go over time and it is not uncommon for people suffering from OCD to use avoidance techniques to try and keep their anxiety from being triggered. How is Obsessive Compulsive Disorder Diagnosed? As with many mental health conditions, start with your medical provider who can rule out any physical conditions that may be contributing or causing the symptoms. This doctor can refer you to a mental health practitioner for diagnosis and treatment. How is Obsessive Compulsive Disorder Treated? Traditional treatment for Obsessive Compulsive Disorder involves both medication and exposure therapy. This type of therapy is often combined with cognitive behavioral therapy to provide desensitization and alternative coping strategies. Recent research supported by the National Institutes of Health’s (NIH) National Institute of Mental Health shows that children and teens respond most effectively to treatment with antidepressants in conjunction with therapy. If you are concerned that your child or teen is experiencing obsessive thoughts and compulsive behaviors, work with a professional who can assess your child’s behavior and advise you on the appropriate course of action.